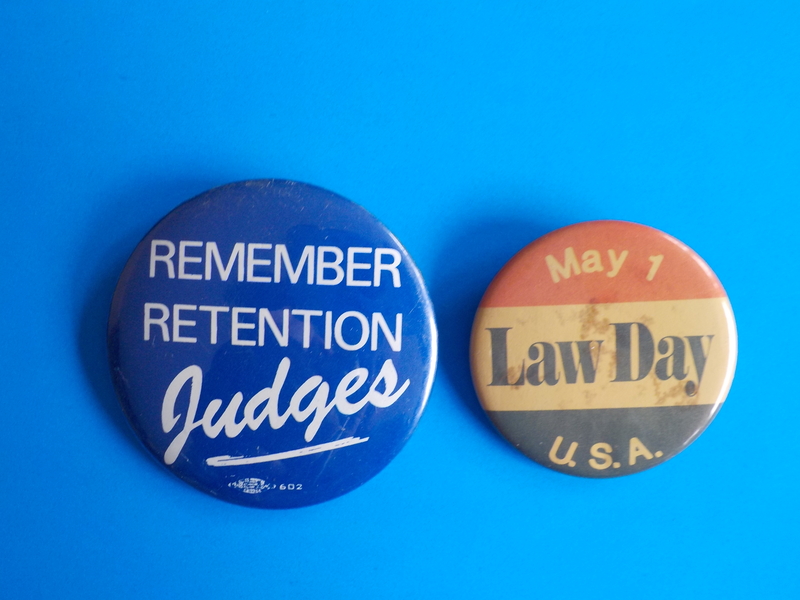 Gavel-to-gavel coverage of Illinois judicial campaigns. 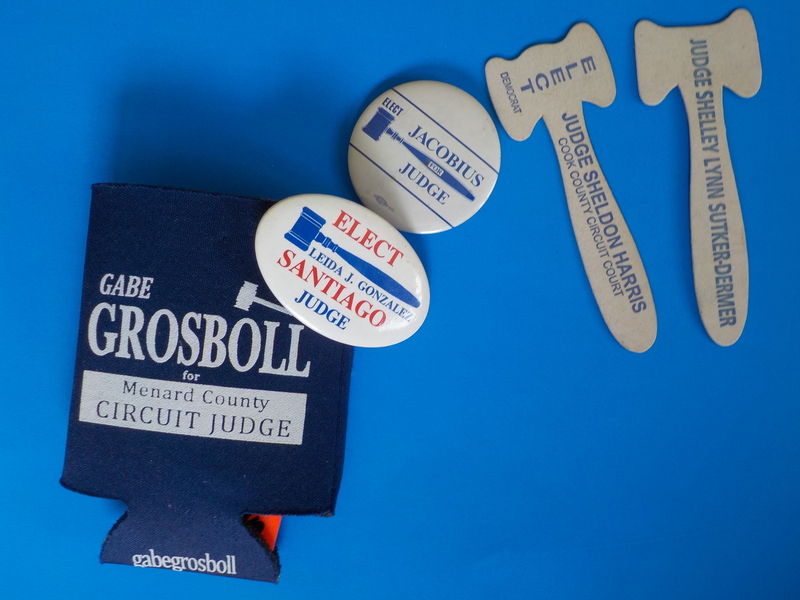 The votes are in: 5 gavels, 3 “scales of justice”, 2 nail files, 2 web addresses, one beer koozie. 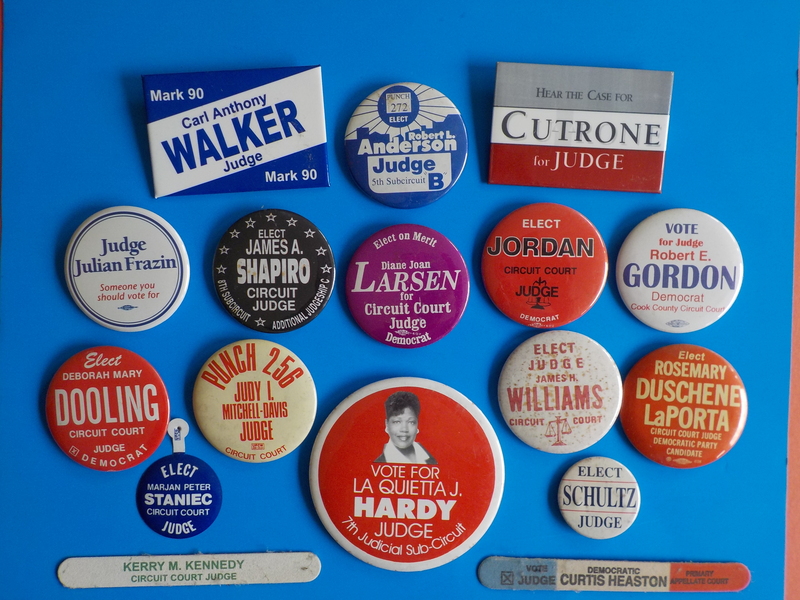 Tough to run for judge, different. 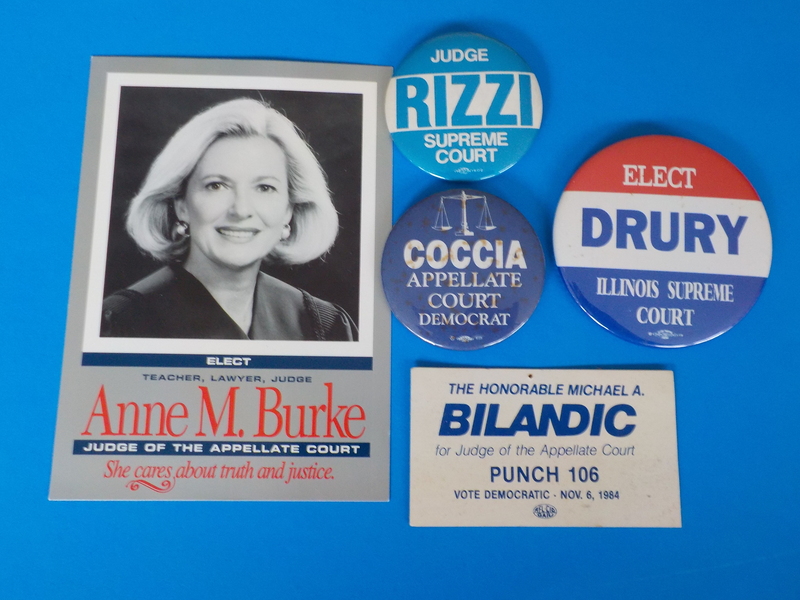 In 1990 & 1992, heavyweights Mary Ann McMorrow, Dom Rizzi, Bill Cousins (“unbought and unbossed”), Mike Bilandic and Charles Freeman all sought the Supreme Court. 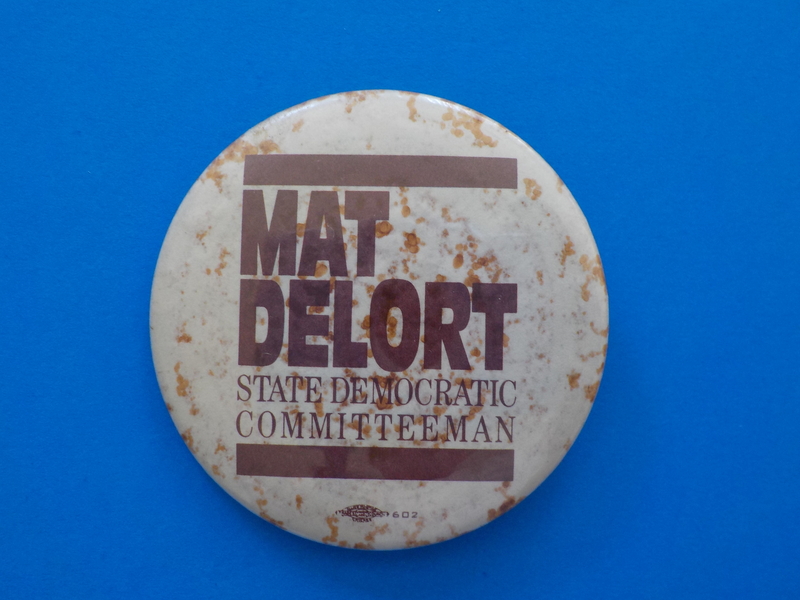 Mat Delort was on the front-lines of many good (sometimes hopeless) causes and campaigns. 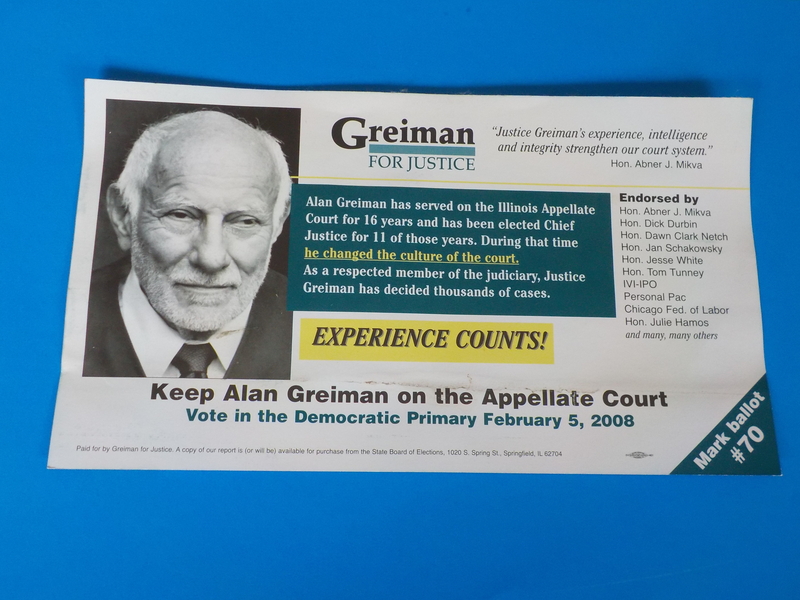 A keen strategist with droll wit and too much decency to be in Illinois politics, Mat became a go-to guy on election law, especially petitions. 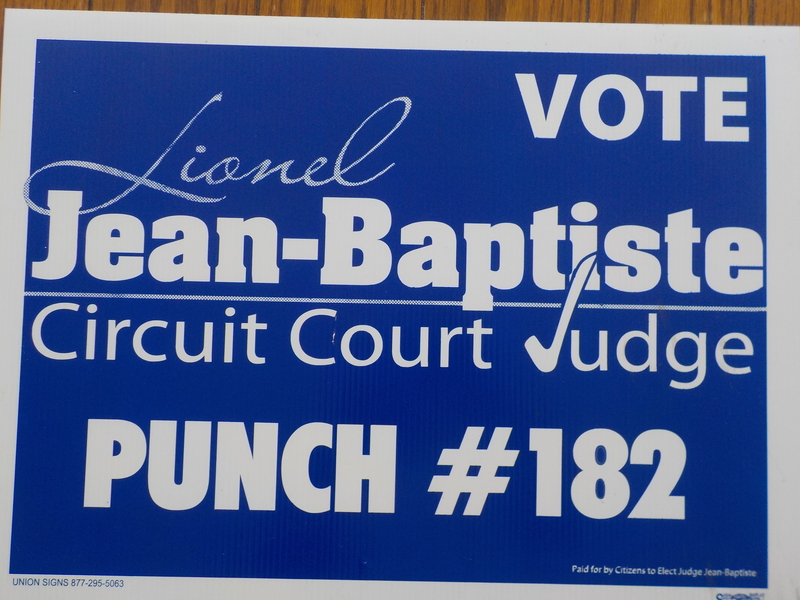 He became a Circuit Court Judge in 2007 and was elected to the Appellate Court in '12. FULL DISCLOSURE: Judge Alan Greiman married me. And my wife. It was his first (ours, too). Due to record floods, he was an hour late but I was two hours late. (Ah, those happy-go-lucky cellphone-free days.) It was OK, since the Judge did stand-up comedy for the anxious wedding party; years later Mom would recall “how funny your wedding judge was”. This author had the pleasure of working with Rick Grawey and Bill Taylor when they served on CUB's Board of Directors. Great guys. 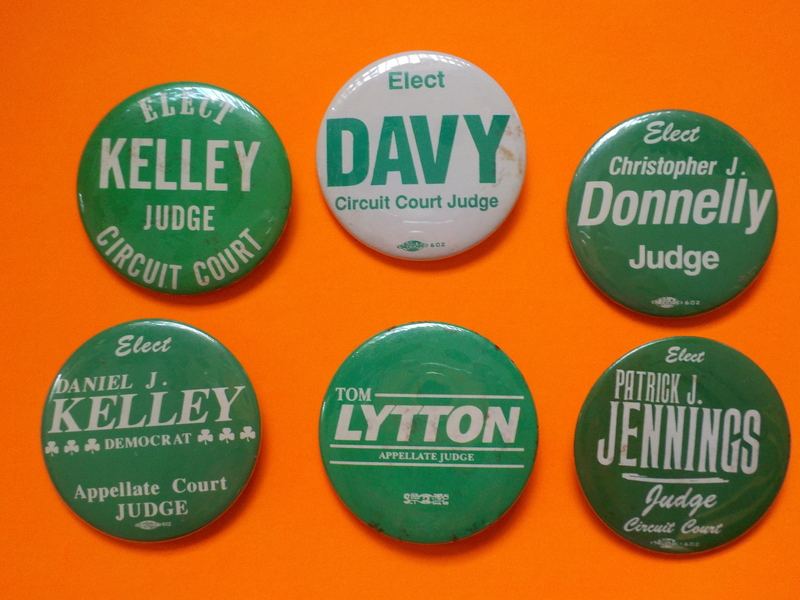 Great buttons, too! Judge Grawey retired in 2010 after 20 years on the bench in Peoria. 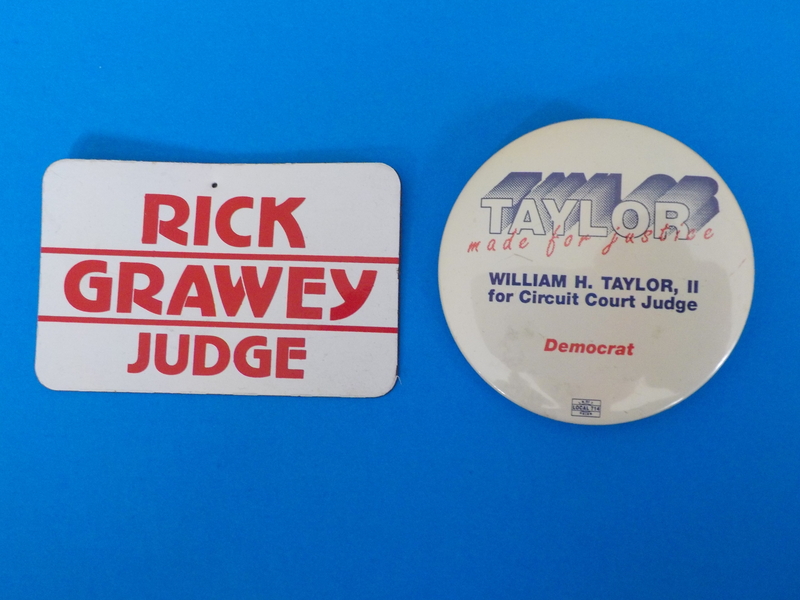 And the “Taylor-Made for Justice” has stuck with me decades later; Judge Taylor served on the bench in Cook County. 9th Subcircuit Rules! 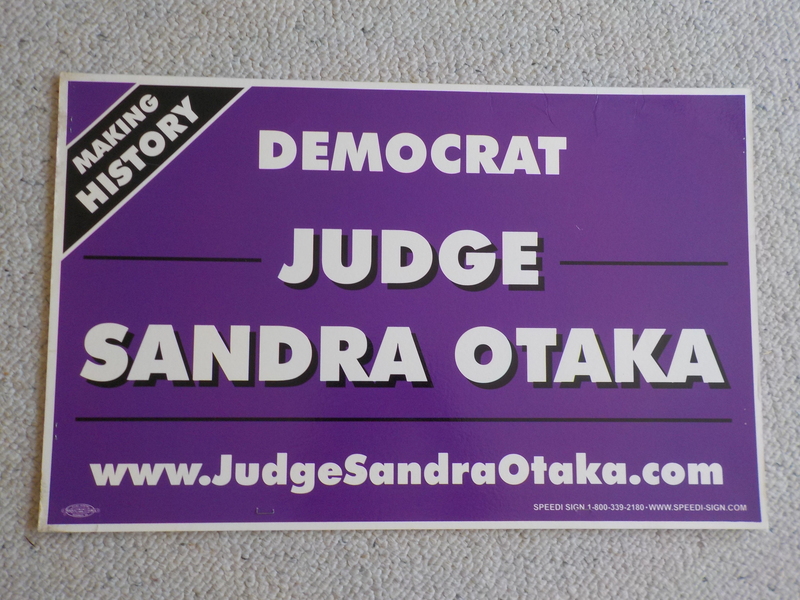 Sandra Otaka - the first Asian American elected judge in Cook County - was among the first candidates to use a web address on a yard-sign. Lionel Jean-Baptiste was born in Haiti, came to Illinois as a lad, and was elected Evanston Township HS Class President, then Evanston Alderman. 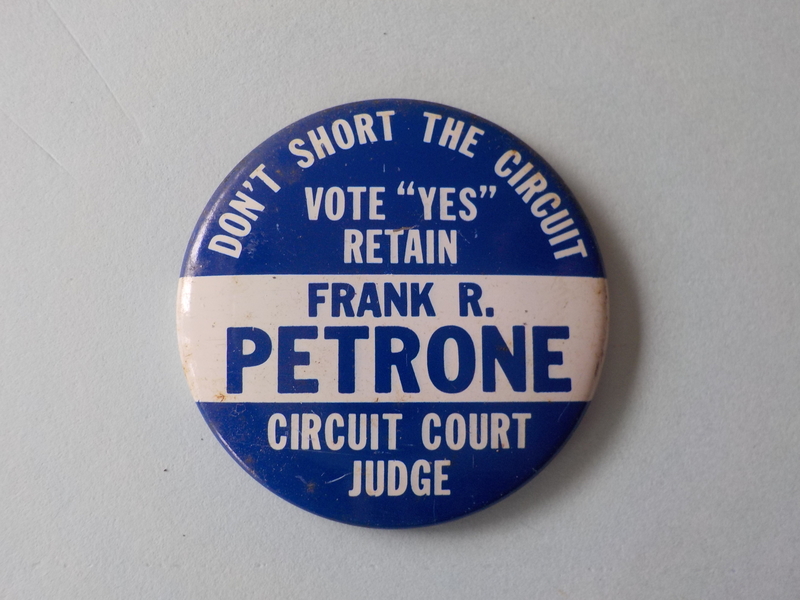 He was named to the Court in 2011, then elected to a full-term. 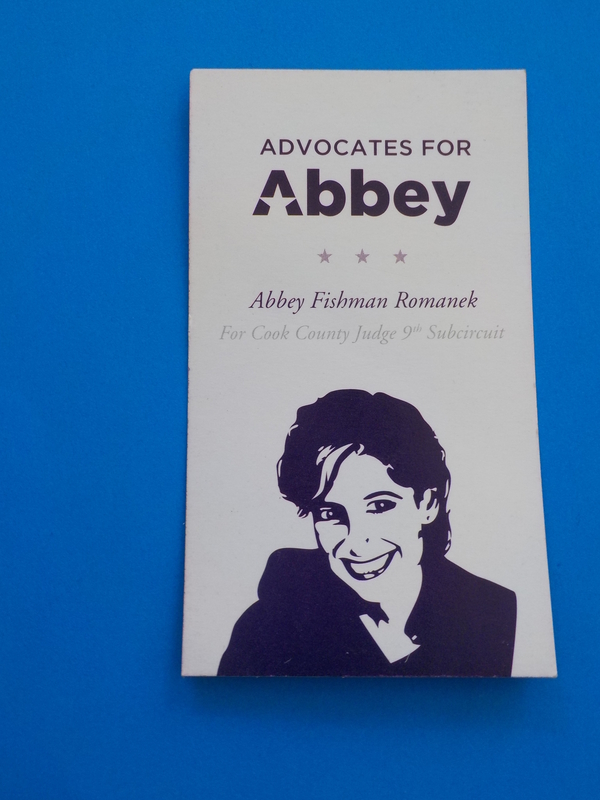 Elected in 2014, Abbey Romanek Fishman has a Black Belt in Tae Kwon-Do; cool silhouette image. The Michael Jordan imagery on Jordan’s button is clever. This author has worked with Robert Anderson and knows Jack Cutrone; both good guys to be on the bench. Don’t know “Carl Anthony Walker", but like his name. The verdict is in: Green is good!